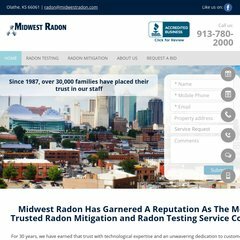 Topics: Radon Remediation - Mitigation, Costs And Peace Of Mind, Radon Gas, and Radon Facts & Myths. Age: It went live on August 25th 1997, making it over 20 years, 7 months old. The estimated 61 daily visitors, each view 1 page on average. There are 2 Nameservers, ns000.ns0.com, and ns162.pair.com. It is hosted by Pair Networks (Pennsylvania, Pittsburgh,) using Apache/2 web server. Its IP Number is 216.92.168.166. PING (216.92.168.166) 56(84) bytes of data.